Many B2B sales organizations decide to enlist the help of appointment setting companies when they need more sales leads or when they’re trying to create a short-term increase in sales. These goals are valid, but they’re not always the only reason or even the best reason to enlist the support of appointment setting firms – these companies can help your business in a number of ways that go beyond short-term sales leads. Appointment setting companies are often an ideal fit when you are trying to launch a new product or expand your solution selling into new markets or industry verticals. Working with appointment setting companies can help you expand your pool of potential business leads in industries where you might not have sold before. 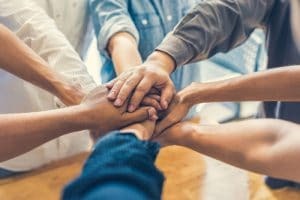 One of the most important aspects of B2B sales is finding helpful “allies” and references within the prospect’s organization that can help your sales efforts by putting in a good word for you, offering you a referral, or introducing you to someone in the organization who might be the right person to talk to. Appointment setting companies can help you with this! You can outsource part of your company research and prospecting process to these 3rd party vendors, who can then help you do the legwork of identifying the right decision makers and building relationships with other stakeholders within the prospect’s organization. Chances are, to make a complex B2B sale, you need many months and multiple names of people to get into a room around a conference table before you can close a deal – and appointment setting companies can help you save time and find more of the right names. Appointment setting companies can help give you a fresh perspective on your sales process. If you want to experiment with new calling scripts or test a new special offer, you can work with appointment setters to help test the waters – sometimes working with a 3rd party can help you find a greater sense of objectivity about what needs to change with your sales process. Appointment setters don’t just read off of sales scripts, they also ask good questions and listen to what your prospective customers are saying – and this is a good opportunity to get valuable “market research” about what motivates your customers to buy (or not). For example, you can ask your appointment setters to ask questions and gain insights on topics such as, “What have you heard about our products?” and “What competitors are you considering?” You can use appointment setting companies to help get a better sense of what’s going on with your market and how your company compares to your competitive landscape. Many B2B sales teams strongly believe that they always need “more sales leads,” but the truth is, “more” leads is not always the right answer. Sometimes you need to get better results from the list of sales leads that you already have. Best Appointment setting companies can help with this! For example, if you already have a certain pool of new sales leads or a regular queue of inbound sales leads that are contacting you via email or phone or your website, you can hand over these leads to your 3rd party appointment setter and ask them to call through and start the sales process by pre-qualifying these sales leads. By asking some smart, strategically focused pre-qualifying questions upfront, your appointment setters can help you hone in on which sales leads are truly the best fit and are the most highly motivated to buy – while de-prioritizing the leads that are not a good fit or not serious buyers. As you can see, there are many reasons to call for help from appointment setting companies, and it’s not always just about “getting more sales leads.” These companies – at best – can help you get some fresh ideas and perspectives about your sales process, they can help you do upfront research, they can help you find decision makers and key stakeholders, and they can help you figure out how to get better results out of your existing sales leads. Good appointment setting companies are not just about reading off a script and making cold calls – they help your whole sales organization work more effectively and close more sales.